Ranked as one of the top dentists in Howell, NJ. We pride ourselves on our comprehensive approach on improving oral health and providing quality dental care services. Smile for Me is committed to making sure that each visit with us leaves a healthy smile on your face. Our practice is equipped with state of the art equipment to provide you with the world-class family dentistry services for a world-class smile. Call us today! We offer a variety of General Dentistry Services for all of your family’s needs, accepting patients from as young as 18-months old. Whether you are interested in oral exams, teeth cleanings or recreating your smile, we would be pleased to satisfy all of your dentistry needs. Six years after earning a Bachelor of Science degree in Electrical Engineering from the New Jersey Institute of Technology, Dr. Jaber returned to school to realize her passion for health. In 1999. She graduated from The New York University College of Dentistry earning the degree of Doctorate of Dental Surgery. 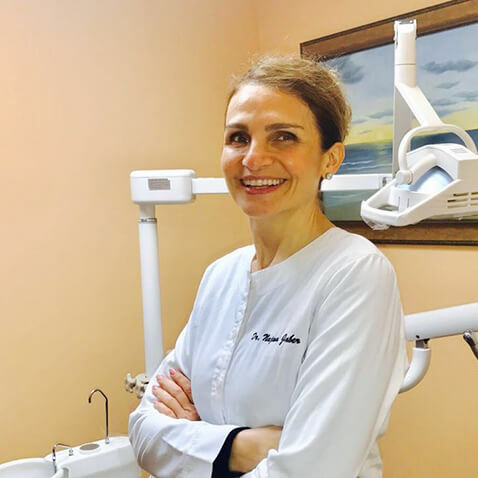 As the sole owner of Smile For Me, Dr. Jaber is able to reach out to patients in ways not often practiced by conventional dentists. Taking pride in creating healthy smiles from within. She combines the art of cosmetic dentistry with an array of complimentary services focusing on general and preventive care. She meets her patients’ individual needs through education, guidance, and ongoing support. Routine family visits to dentists keep your family away from oral infections and guarantee the better health of your future generations. 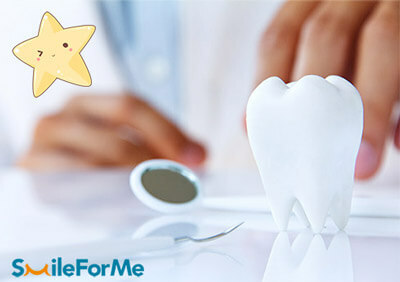 Smile for Me offers exclusive dental care services for families in Howell, NJ. We keep a record, run routine screening tests and offer 24/7 consultancy to our clients. To help out our patients we accept financing options. New and returning patients can easily access our Financing Options and Patient Forms online to make their first visit go as smooth as possible. You can also explore a Mouthful of FAQs and information relevant to your oral and general health in the dental services section. We would be more than happy to answer any questions or concerns you may have regarding your the search of a dentist or oral care. We always thrive to educate ourselves to better serve you. Become a part of our family by calling our office today to schedule an appointment or Request an Appointment online. Call now: (732) 730-2345. We understand that searching for a new dentist can be difficult. To assure you that our staff at Smile For Me will have you smiling for a lifetime, here are a few words from current patients of ours.
" Dr. Jaber truly cares for her patients! She is passionate about her work, my happiness, and of course my health! The staff is extremely friendly and informative. I send my whole family here and all my friends! The professionalism and courtesy of the office staff also gets a thumbs up!" "Omg this place is great, very professional, awesome, great, fantastic and every other word that's wonderful. The staff is so nice and welcoming. They listen to your concerns and address them without hesitation. Office: clean, modern and up-to-date equipment. And Dr. Najwa shes a doll, so nice and informative and she tries to find the best way to make your smile beautiful again... Hands down the best dental office, ever!! Just the best customer/patient service:) Can you tell I love my dentist? :)"